Florida students had trouble connecting to the state's new online writing exam on Monday and Tuesday. The problems seemed to be fixed by Wednesday afternoon. Last week, dozens of Florida school districts had to postpone state testing because of problems with the new Florida Standards Assessments. Students couldn’t log in to the online writing exam -- and some who did were booted out and temporarily lost their answers. The problems seem to have been resolved Thursday. By Friday, more than half of students scheduled to take the online writing exam had finished. Here's five questions about what happened and what's next. On Monday, the first scheduled day of testing, administrators had trouble accessing the online test. This was the first sign of trouble. Some students couldn't log into the exam at all. Others had to wait and wait and wait for the exam to load. Some students even managed to begin the test, only to lose their answers later. Education commissioner Pam Stewart say that work can be recovered. Test-maker American Institutes for Research says an update to the student database caused the problems. It's important to note that, so far, the problems aren't related to too many people trying to access the test at once. School districts were worried bandwidth might be a problem. "This is not a capacity or a bandwidth issue at either the local or the vendor level," Stewart told lawmakers on Wednesday. 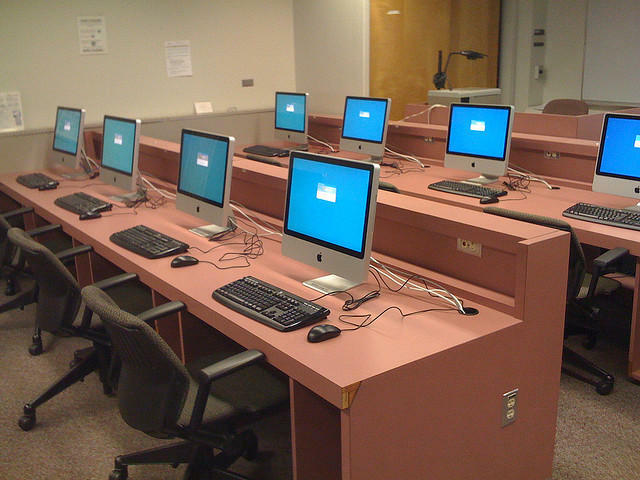 AIR simulated 250,000 students logging on at once overnight Tuesday and the new test ran fine, Stewart said. But school superintendents are worried math and reading tests will require more bandwidth, and problems might show up then. By Wednesday, the online writing test was working better. Thursday and Friday school districts reported minor delays. More than 397,352 students had completed the online exam by the end of school Friday, or 60 percent of all students scheduled to take the exam. Are the test results compromised? That's what Miami-Dade Superintendent Alberto Carvalho and others have asked this week. Some students -- it's unclear how many -- were able to log into the exam and read the question, known as a prompt. Is it fair that the results of some students who got to see the exam will be compared to students who didn't, Carvalho asked? Lawmakers also asked Stewart that question. She brushed aside the concerns. "We know that there are students that would have seen a prompt and go home and other students would be testing the next day," Stewart said, "we always encourage students not to be sharing. "And there are different prompts, so a student would never know which one they are going to be receiving when they go in." And school officials say they should know which students saw the exam, so potentially those scores could be pulled out when setting passing scores to ensure the comparisons are fair. So far, both Republican legislative leadership and Stewart have shown no interest is waiving consequences statewide this year. Senate Education chairman John Legg has proposed waiving consequences on a case-by-case basis if schools report technology problems while testing. This week's testing problems have bolstered the arguments of those who think this year's Florida Standards Assessments results should have no consequences. Carvalho has asked for a two-year break from all state policies based on test results: state grades for public schools, teacher evaluations, retaining third graders and requiring 10th graders to pass the language arts exam to graduate high school. Superintendents want schools, teachers and students to have time to adjust to the new standards and tests. Lots of people want to see the American Institutes for Research punished for the initial failures. Florida has fined testing companies before. For instance, Pearson paid a $14.7 million fine in 2010 after the company missed a deadline to provide FCAT results. Miami-Dade School Board members threatened to send a bill to the state for lost instruction time. And Democratic Sen. Bill Montford asked about reimbursing districts for expenses related to suspending testing. "Where's the accountability for the DOE?" Pasco County schools superintendent Kurt Browning asked, according to the Tampa Bay Times. "Why can't they get a test platform right? I don't get it." What's next?Schools will start giving the math test to third and fourth graders in two weeks. That's a paper and pencil exam. Computer-based reading and math testing starts in mid-April. Those tests are more interactive than the writing test, so superintendents are worried that's when bandwidth problems might crop up. Democratic lawmakers are asking Gov. Rick Scott to suspend testing, but that's not likely to happen. Others are pushing for this year's results to have no consequences. Both the House and Senate are working on bills changing state testing and accountability requirements. For the second day in a row, some Florida school districts decided to suspend required testing because of computer problems. Miami-Dade schools are suspending online state testing for eighth through 10th graders after many students were unable to log on to Florida's new writing test Monday. School districts across the state reported problems with the exam. And the test ran slowly for many who did manage to sign on.